I'm alllmost finished moving all my stuff into the apt (and by almost I mean I pretty much have to be out by this weekend so I'm in wrap up mode with all the tiny things left). While I unpack and organize, I can't help but daydream about all the little décor items I want to add to my room. I'm definitely having a gold moment lately. 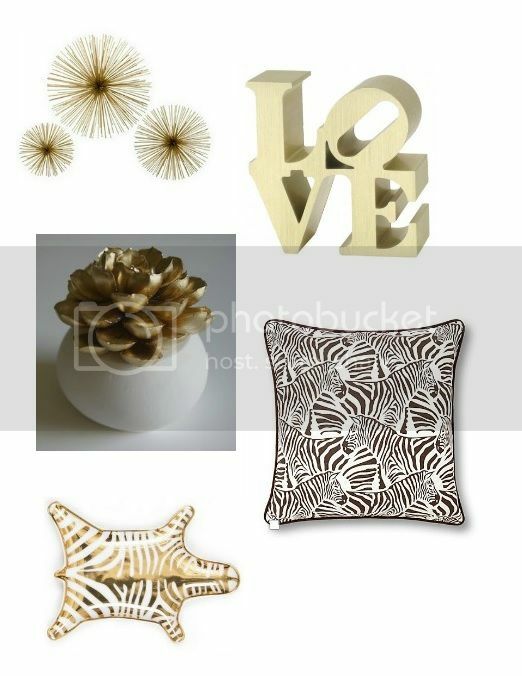 If you follow me on instagram you'll see I painted gold stripes in my room and oddly enough I fell for all of these décor items in gold. Go figure.